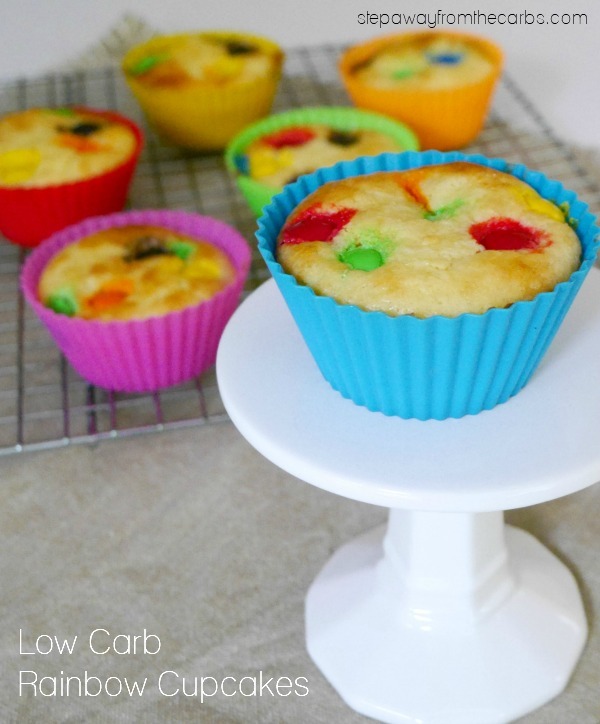 These low carb rainbow cupcakes feature Atkins chocolate candies! Although this post contains affiliate links, I have not been sponsored by the manufacturers of these candies. All opinions are my own. By using my affiliate links I can make a tiny bit of money to help support this blog. Thank you! 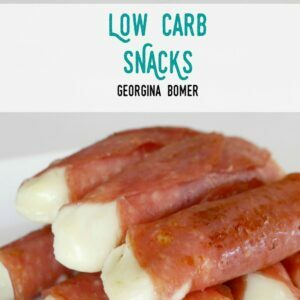 Before I start talking about the recipe, I want to say that this recipe might not be for all of you. 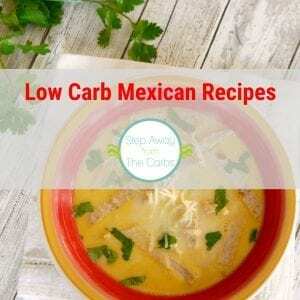 So PLEASE don’t make negative comments if you don’t like it, just move along to the next yummy recipe! 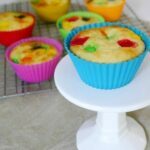 The M&Ms style candies on these low carb rainbow cupcakes are Atkins Endulge Chocolate Candies. One 28g bag, divided between six cupcakes. These chocolate candies DO contain maltitol, which isn’t my favorite sweetener, but I do particularly love this product – and there’s a peanut version too! Not all of the Atkins range agrees with me, but I think that this product is one of their best – they are the best substitute for M&Ms! Carbohydrate count for one bag is 1g net carb if don’t include sugar alcohols in your carb counting, and 15g net carbs if you do. So, with all that being said, if you’re still reading, let’s talk about the recipe! It’s an almond based cake batter, that I’ve made into cupcakes. The batter is sugar free, and the one bag of Atkins candies contains 1g of sugar – so when they are divided between the six cupcakes, each one is very nearly sugar free! The cupcakes don’t need any frosting, because the candies add all the sweetness that you need. Enjoy! Separate two eggs and set the whites aside. 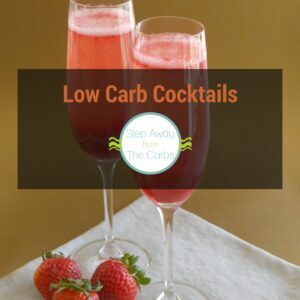 Use a balloon whisk or fork to mix together the egg yolks, heavy cream, low carb sweetener (Swerve, xylitol or similar), and cooled melted butter. Stir in some almond flour and baking powder. Add the egg whites and a pinch of cream of tartar to a stand mixer bowl, and whisk until soft peaks have formed. Drop a spoonful of the egg whites into the almond mixture to loosen it up. Then carefully fold in the rest of the egg whites until fully combined. 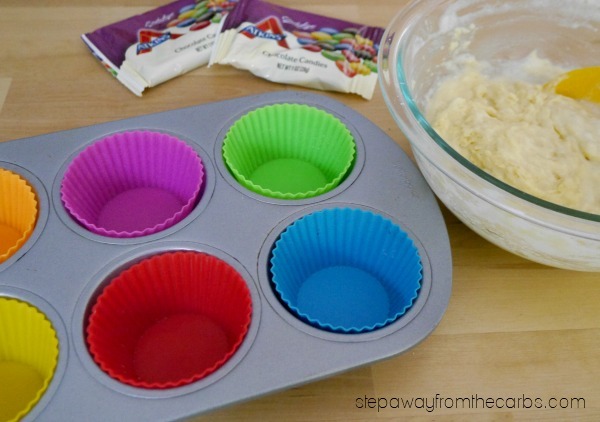 Spoon the mixture into a six-hole muffin pan (I lined mine with colorful silicone liners!). Divide one bag of the Atkins Chocolate Candies between the cupcakes, then bake in a preheated oven for around 10 minutes, or until the center is cooked. Leave to cool slightly, then transfer them to a wire cooling rack. 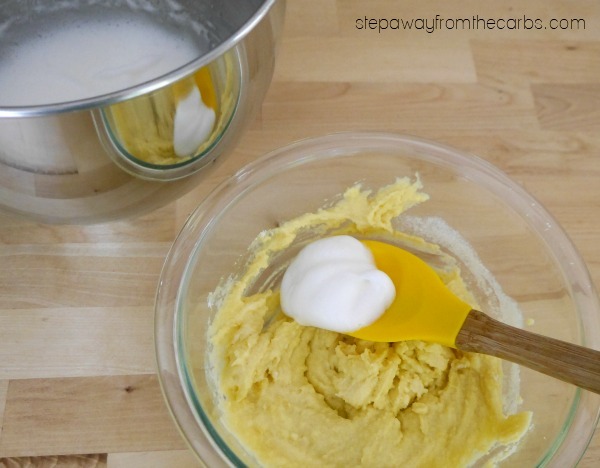 Whisk together the egg yolks, heavy cream, sweetener and melted butter. Stir in the almond flour and baking powder. Add the egg whites and cream of tartar to a stand mixer, and whisk until soft peaks have formed. Drop a spoonful of the egg whites into the almond mixture to loosen it up.